Supplier & Trader of a wide range of products which include Industrial Coatings such as Protective Coatings, Floor Coatings, Road Markings, Powder Coatings, Marine Coatings and Sigma Coatings. Road Marking Service are the silent custodians of road safety in this era of four and six-lane highways. Markings signify the delineation of the traffic path and the lateral clearance from traffic hazard for the safe, smooth and orderly movement of traffic. Apart from traffic guidance, they also serve as a tool for controlling, warning and providing information to road users. 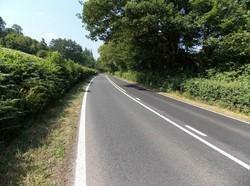 Though the cost of road markings is fractional in comparison to the cost of the road, its importance is indisputable. Often a key parameter used to judge the road quality is the quality of the installed road marking. We are offering Epoxy Zinc Phosphate Primer to our clients. Recommended for protection of steel structures including cranes, bridges, conveyors, barrage gates, etc., under industrial and saline conditions. Specified in fertilizer plants, thermal power plants, gas works, refineries and petrochemical structures which do not come in contact with solvents. Protective Coatings is increasingly becoming critical owing to rising asset costs, harsh weather conditions and mounting chemical pollution. Therefore asset owners are looking at specialised protective coatings specific to their requirements. We perceive this to be just the right environment for Asian Paints to demonstrate its growing technical strength. Protective Coatings offer a choice of high-performance, heavy-duty coatings, designed to protect assets against the specific corrosive environment they are exposed to. Asian Paints Protective Coatings are tested under extreme conditions to ensure that they are durable and can withstand the vagaries of the different climatic conditions. Today the range of coatings find use across diverse industries such as nuclear, thermal or hydel power plants, chemical, petrochemical or fertilizer plants, refineries, sugar, pulp and paper industry, offshore structures, pharmaceuticals etc. Choosing the correct Floor Coatings and ensuring correct surface preparation and application is just half the battle won. To ensure adequate returns on your flooring investment, due care should be taken. The following measures will ensure a better performance and longer life of the floor coating system. We are offering Marine Coating Service to our clients. Marine Coatings such as, corrosion resistant coatings and low-friction coatings on propellers have been successfully accomplished. 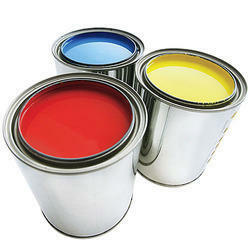 Looking for Industrial Coatings ?